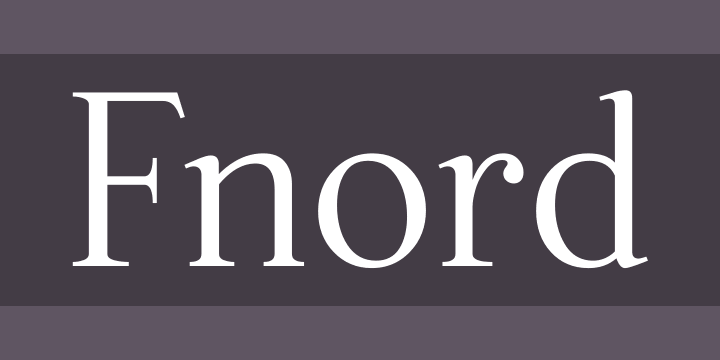 Fnord is a contemporary humanist serif typeface. It is ideally suited for display purposes, titling, headline copy and branding. While sketching and designing Fnord, I was re-reading the complex, thought-provoking and mischievous works of authors Robert Anton Wilson and Robert Shea from the 1970s. Many of the recurring themes from their books had an influence on the way Fnord was created, particularly the numbers 5, 17, 23, 40 and 93 which are key to this font family’s spacing and geometry. I found it both very interesting and enjoyable to work with a specific theme and purpose for creating this typeface. I am sure you will enjoy working with it in your own design projects.